To tackle this, the former shadow business secretary and his colleague Keith Vaz (chair of the influential Home Affairs committee) are to launch an independent inquiry into why ethnic minority communities are abandoning the Labour party and what can be done to reverse this trend. This initiative is commendable but only if these communities are part of the process. Too often politicians are quick to launch inquiries but with pre-judged conclusions and prepared solutions, with very little engagement with the relevant electorate itself. This ultimately does little to restore confidence especially when the remedies put forward are often too vague or weak. To prevent this, the inquiry needs to be broader than just the issue of falling Labour support – it needs to be about understanding who the community is. In less than seventy years the British Sikh community has grown from fewer than 2,000 in number to over 700,000. The National Equality Panel report from 2010 suggested that Sikhs are the second wealthiest (after the Jews) religious community in the UK, with a median total household wealth of £229,000 (Jewish £442,000, Christian £223,000, Hindu £206,000, Muslim £42,000). It is no surprise then, that report done by the Runnymede Trust on the effects of the 2015 Budget on BME communities last year, showed Indians (which includes Sikhs) have one of the lowest proportion of BMEs earning below the national minimum wage and claiming tax credits. These statistics clearly show that this inquiry needs to focus on whether Labour’s message for aspirant minority communities is clear and that it has a vision that reflects the entrepreneurial spirit of these communities. This is something the Tories did well at the May 2015 election. The Tories also now have ten more ethnic minority MPs (17 in total) than they had in 2010, closing the gap with Labour who have 23. If Labour does nothing to actively encourage candidates from ethnic minority backgrounds, the Tories will be the party with the most diverse MPs, a stark comparison to 1987 where it had no BME members of Parliament. This suggests a correlation between the increasing support for the Tories from ethnic minority communities and the fact they have increasingly more MPs from a BME background. Labour should take note of this. A survey of over 1,000 Sikhs conducted by The Sikh Network (a nationally recognised network of Sikh organisations, activists and professionals) in the immediate weeks following the May 2015 election, found that 49% voted for the Labour party but surprisingly 36% of those surveyed voted for the Tories, doubling from 15% in 2010. These statistics are in line with the research shared by Mr Umunna and provides further support to his argument that the party can not be complacent with its long standing relationship with ethnic minority communities. Mr Umunna also pointed out that the average parliamentary majority is 11,479, or 24.08% of votes cast and that the ethnic minority population exceeded the majority of the sitting MP in 1 in every 3 constituents. This is an important observation because ethnic minorities tend to vote in blocks and so they play a significant role in deciding who wins. The impact of the ethnic minority vote may well become more important once the proposed constituency boundary changes take place. The government is currently in the process of drawing up plans to reduce the number of MPs by 50 to 600. In summary, this inquiry is welcomed by the Sikh community and has been long overdue. Mr Umunna is right to say the Labour needs to be the party of ‘aspiration’ as well as being the protector of the poor. Its policies need to connect with second and third generation ethnic migrants. At the same time, the party needs to understand the Sikh community’s passion for its identity, from wanting to be monitored as a distinct and separate ethnic minority, to having better Sikh representation in Parliament. The Sikh identity was a key concept of the Sikh Manifesto. 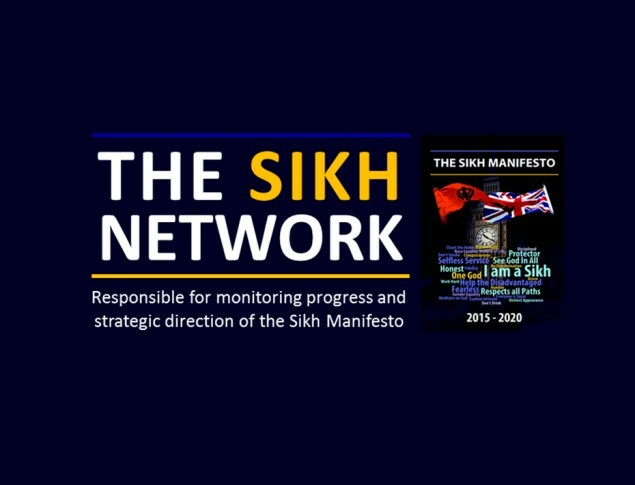 Launched in January 2015 by The Sikh Network, it provided a tool for the Sikh community to engage with their local politicians. The Manifesto was widely supported by all political parties at the time of the election and now is the test as to whether the Labour Party will work with the community to move this forward.